Morgan graduated from Penn State University with a degree in Agricultural Engineering and Betsy graduated from Purdue University with a degree in HDFS. They both worked in their fields of study before being called by the Lord to join Navigators on the college campus. They see Penn State as a strategic place and unique time in students lives with unbelievable potential for world size impact. Their passion is to see students thrive in their walk with Jesus and live life wide open for him as they embrace their calling. Morgan and Betsy have 4 children, Levi, Rachel, Seth, and Hannah. Brad has been serving with The Navigators since 2007, including 6 years at the University of Alabama. Since 2013, Brad has served as the assistant director and staff trainer at Penn State. Brad loves helping students and staff experience the power of God's grace bring greater freedom and joy in their relationship with God. Brad is a 2005 graduate of Penn State, and loves all things outdoors and spends far too much time following Penn State football. Korryn met the Navigators as a student at the University of Missouri. She was greatly impacted by the focus on discipleship. God led her to stay and join staff in 2008 on campus at Mizzou, He later led her to join the team at Penn State in 2012. Korryn is passionate about getting students excited about reading Scripture, sending students to the nations, and helping others experience God more fully. Joe first met The Navigators as a freshman in college. He didn’t know it at the time but that proved to be a pivotal point in his life and in his relationship with God. He was invited to join a bible study and for the first time understood and embraced the gospel. And He's convinced God is still working on college campuses today! He joined the Penn State staff team in 2011 and loves seeing students find the hope that can only come from knowing Christ, growing into devoted followers of Jesus, and living for the Lord to fulfill the Great Commission of making disciples in all nations. Dan hails from just north of Boston but has become a pretty big Penn State fan. The only thing he likes more than football, ice cream and grilled stickies is hanging out with students and talking about life in happy valley. He gets excited about playing any kind of sport and is really passionate about music. If you like coffee, Dan would love to make you an unpretentious pour-over and get to know you! Cameron grew up in Wellsboro, PA, and graduated from Grove City College in 2013, while Michaela grew up in Biglerville, PA, and graduated from Penn State in 2016. Cameron and Michaela met in The Navigators ministry at Penn State and were married in November 2016. Christin grew up in St. Mary’s County, Maryland, and graduated from the University of Maryland in December 2017. She studied psychology, loves Terp basketball, and is always down to get bubble tea. Tom and Marti met The Navigators at Purdue University. While Tom was a student they were in a leaders' Bible study and led student Bible studies. God used those years to establish them in their faith and gave them a vision and passion for investing in people for the rest of their lives. After 20 years in the work force, in 1997 God called them to full time ministry with The Navigators. They served at The University of Minnesota as Campus Directors from 2000-2009, led Bible studies, trained student leaders and trained staff. Ultimately they trained their replacement! 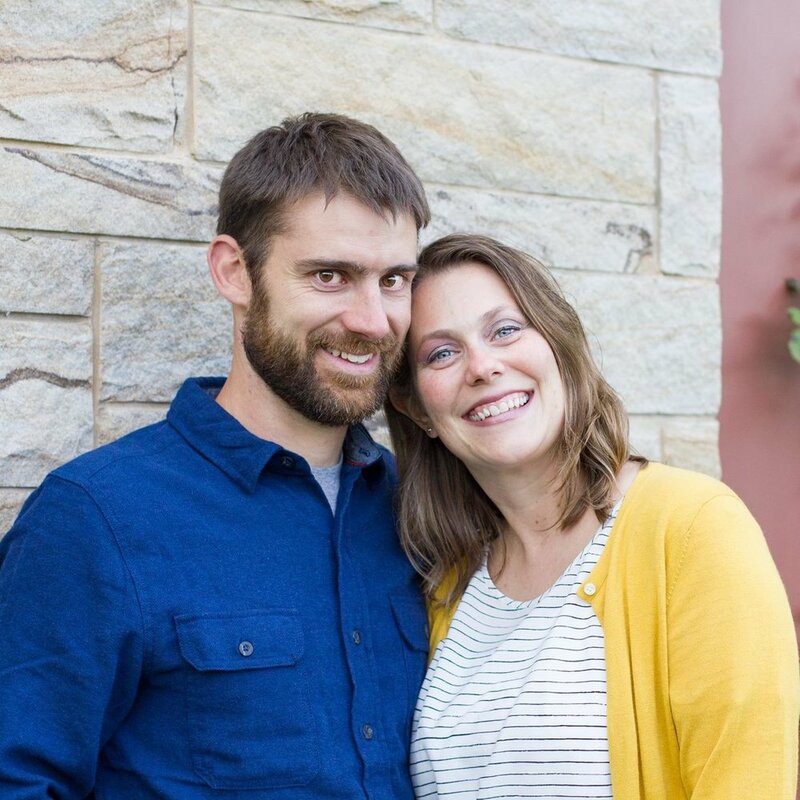 They remained at the U of MN, continuing to train staff, disciple students and taking on the regional role as Trainer Coaches for the Upper Midwest Navigators from 2009-2013. In 2013 they moved to State College and now serve on the Mid-Atlantic Regional Leadership Team, serve as Trainer Coaches, serve as Staff Shepherds, disciple students and staff and will serve as Team Mentors for a CO-ED and Upperclassmen/Transfer Bible study this fall. I came to know the Lord as a freshmen at The University of Northern Iowa through a Navigator Women's Retreat. After college I went on staff with The Navigators that kept me at UNI for three years then took me to Colorado Springs, Colorado and finally to State College. Griffin (also a PSU Nav alum) and I got married in 2008 and have four great kids: Riley, Ellie, Thatcher and Brennan. Now as a wife and mom of four I still love to invest in women's lives and have them in our home, around our family and seeking God together.